When Bernie Sanders takes the stage Tuesday night for his first Democratic presidential debate, he'll be guaranteed something that hasn't always easy for him to come by: A national audience of millions. Scant media coverage of Sanders' campaign has been a persistent complaint among some of his supporters. And Sanders himself doesn't shy away from critiques of what he calls "corporate media." But the CNN debate in Las Vegas could be a turning point, not just for public perceptions of Sanders but for media attention too. According to Andrew Tyndall, who meticulously tracks the ABC, NBC and CBS evening newscasts, the Sanders campaign has received just two minutes of coverage on the shows since Labor Day. Tyndall said "the overwhelming majority of Democratic coverage" has gone to Hillary Clinton — 26 minutes — with another 6 minutes for Joe Biden, who may or may not enter the race. Tyndall's data is through October 7. Coverage has picked up ahead of Tuesday's debate in Las Vegas, which CNN has been touting as the first face-off between Sanders and Clinton. 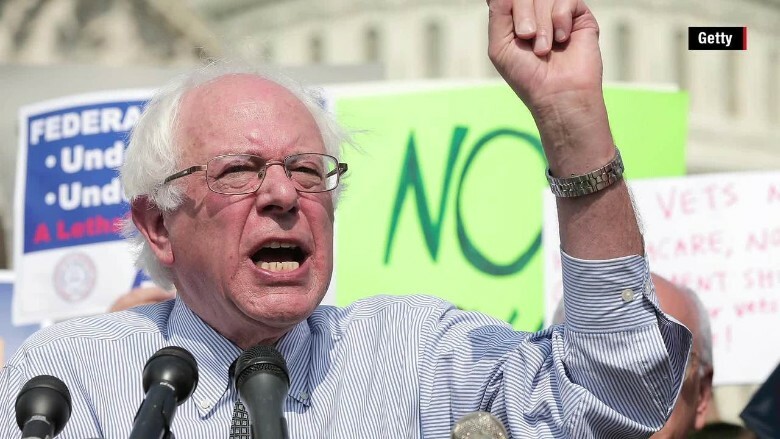 Still, there's a nagging sense on the left that Sanders hasn't been taken as seriously as other candidates, perhaps due to his socialistic views. "Folks who focus on the mass media accurately report that the number of prime time minutes or column inches is far less than Trump or Clinton, despite Sanders' strong showing. 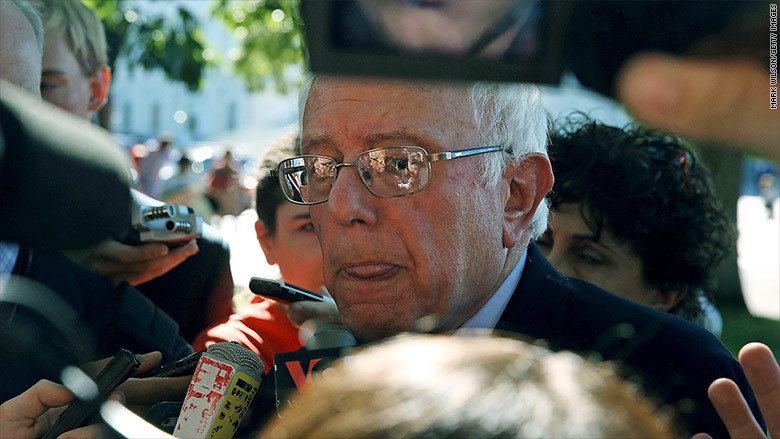 It's not right and ought to change," said Charles Lenchner, a co-founder of People for Bernie, an activist group. The framing of news stories has come under scrutiny as well. Margaret Sullivan, the New York Times' public editor, wrote last month that "the tone of some stories" about Sanders in the Times "is regrettably dismissive, even mocking at times." Sullivan declined a request for a followup appraisal this week. Lenchner said sites like Facebook and Twitter, where fans have shared Sanders' positions and speeches, have more fairly reflected interest in Sanders' candidacy. "Good thing voters have access to social media," he said. Sanders' campaign has thrived online. 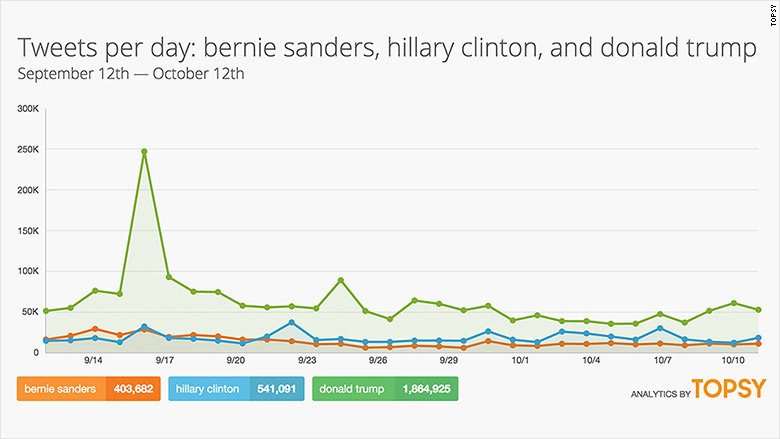 On Tuesday, his campaign paid to make its promotional hashtag #DebateWithBernie the top trending topic on the site all afternoon and evening. A Twitter spokesman said Sanders is "the first presidential candidate to buy a trend this election cycle." Some analysts say the entire Democratic field has, until now, been overshadowed by the Republicans. The GOP has more than twice as many presidential candidates as the Democrats. Donald Trump's presence in the primary race has created irresistible media storylines and a never-ending number of quotable moments. This has irritated liberal commentators like Joan Walsh, a correspondent for The Nation and an analyst for MSNBC, who said that the Democrats "are getting hosed" by the press. "What's covered, among Dems, is Hillary's email and Bernie being a socialist drawing big crowds," Walsh told CNNMoney in an email. "Meanwhile, the Republicans are being wooed by a cohort of incompetent and/or inexperienced and/or gaffe prone and/or xenophobic men and (one) woman, who aren't really being asked what they'd do with the office -- aside from whether they'd be Donald Trump, for Donald Trump, or against Donald Trump." "That's the real coverage gap to me, not between Hillary and Bernie," she added. If the coverage of Sanders has been defined by anything, it's been his crowd sizes. Some of his rallies have drawn tens of thousands of people -- enormous crowds that have called to mind Barack Obama's 2008 campaign. Those crowds have also spurred complaints from supporters that Sanders should be getting more air time. His standout appearances to date have included "The Late Show with Stephen Colbert" last month and "Meet the Press" last weekend. He has also graced the cover of Time magazine, something that would have been unthinkable before he announced his long-shot bid for the presidency. "Sanders was an asterisk when he started," CNN commentator Paul Begala, a supporter of Clinton's campaign, said on "New Day" Tuesday. "And now he is winning in New Hampshire. Double digits. Why? Not only because he did media — and I love the press — but he had a strategy to put himself on the map by building large crowds." Polls show Sanders more than holding his own with Clinton in the two states that will kick off the presidential nomination contest. He trails Clinton in Iowa, but he holds a consistent lead in New Hampshire. Clinton maintains a sizable lead over Sanders nationally. Then again, she claimed a similar advantage over Obama at the same point in 2008.